It was nighttime. A two-year-old baby could not breathe. He was wheezing and also had a fever. Mom took him to the hospital where he stayed for two months, going through a variety of practices to try and release his air passages. I was this baby. I remember ice cold baths (probably trying to reduce the inflammation) and a nice robot toy my uncle gave me as a gift. Eventually I returned home to begin years of struggling with breathing. As a kid, I was not strong enough to use inhalers, so other modifications were provided. I slept in front of steaming vapors flying toward me from a round, green plastic container filled with water, and I ate aloe vera candies. Later in life I was told that humidity was bad for me, and I need the driest places on earth. These contradictory recommendations followed me throughout my life. I spent most springs and falls in the hospital at least two nights a week. At night, my mom would walk into my bedroom to see me sitting in bed, breathing heavily. I could not lie down, as it was much harder for me to breathe when horizontal. When the inhaler did not help, it was time for the emergency room. “Hello Mrs. Hanoch,” they would say. We were there so frequently they knew my mom by name. In the summers, I would participate in experiments—riding a stationary bike while breathing cold air or sitting in a very cool room or trying other conditions to see how my asthma would react. Many school trips were problematic, as crossing a field of wheat or other trees would trigger allergic reactions. Cats, dust, and an entire variety of items were on my allergic list. Actually pretty much everything was there. It was just a matter of how strong of an allergic reaction I had. It seemed hopeless. In my twenties, I finally saw hospitals less, and things were slightly better, until one day about a month after September 11, 2001. We were having a little party at my photography studio in New York City. We danced and had a good time. Then, I felt a restriction in my chest. I went to my room to get an inhaler, but something felt wrong, and I knew the inhaler would not be enough. I told my roommate to take me to the hospital. He knew I am not the type to go to the hospital if it is not a real emergency. We walked into the elevator. I saw a neighbor from upstairs, then collapsed and fell down. I was told they dragged me out to the sidewalk and did CPR on me. They saved my life. Another friend passed by and called an ambulance. Some electric shocks and my heart was beating again, but no breath. I was on a breathing machine for a few days. My mom arrived from Israel after been told that her son was a vegetable and would not wake up again. My brother hopped on a flight from San Francisco. The doctor said if I did wake up, I would not be normal again, as my brain had gone too long with no oxygen. Well, I did wake up after a few days, and once the breathing tubes were out, I was ready to go home. The doctor looked at me as if I had returned from the dead. I went to see the most famous lung specialist in New York. Here it was again: medication, allergy tests, and removing all possible allergy-causing fabrics and other items from home. I had been through this too often. It did not work. It was time to make some bigger changes—a change from the inside. I was already practicing Asthanga yoga, yogic breathing (pranayama) and meditation, but now I decided to focus more on these tools to really get better. It has been 15 years since I last visited a hospital. Ashtanga yoga emphasizes breath with movement. I practiced Mysore style so I could go at my own pace. My focus was on yogic breathing, and I practiced taking slow, deep breaths. I learned I needed to relax as I was breathing, especially at the end of my exhalations. I learned to exhale more fully, and not rush the inhalation. There is enough air for everyone! As I practiced sun salutations, I moved slower, allowing enough time to complete the breath with every movement. My breathing was growing deeper. What also helped a lot was learning to relax my mind. Allowing the mind to simply be with no worry or anxiety helped improve my breathing. Later I added pranayama practices. It was not easy, but with practice it got better. Practicing kumbhakas (breath retention) was the hardest, especially during exhales, when I often felt that I had to take air again. But the calmer I remained, the easier it got. I was practicing retention of breath mostly during the inhalations, as it was easier and what my teacher recommended. Pranayama, I thought, must be the best thing for me. It took some time to research and realize that the longer exhalations were very good. Together with calming the mind, longer exhalations activate the parasympathetic system—the relaxation response of the body—so my lungs and breath did not go into fight or flight mode, which can cause or exacerbate asthma symptoms. However, I learned that when doing the inhale retentions or fast breathing techniques such as kapalabhati and bhastrika, I was creating heat, adding to the inflammation, and shortening the breath instead of deepening and calming it. My new mantra became, “Don’t try too hard.” Practice is important, but surrendering, allowing the breath to deepen without forcing it, made all the difference. As I mentioned, I have not been in a hospital since 2001. Fifteen years and counting is a big improvement! 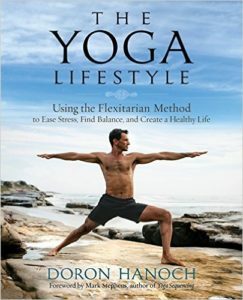 To learn more about the practices Doron used to overcome asthma, visit the Doron Yoga blog.